Highlights can provide you with brilliant, lustrous hair. This is achieved by weaving selected hair strands and applying a formula using foils to allow more precise and direct access to the hair. Want Longer Hair, But Dread the Awkward “In Between” Phase? Talk to your stylist about extensions. Extensions can eliminate the need for a make-shift style that makes you feel like your hair is never quite right. 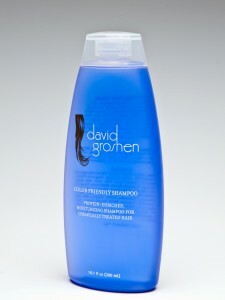 David Groshen’s Color Friendly Shampoo restores moisture and protein lost during chemical services and exposure to sun. A natural blend of aloe and other essential botanicals restores the hair shaft of chemically, sun-treated and sun damaged hair. The shampoo magnifies shine and manageability. If your color doesn’t stay fresh after a few washings, there could be a number of causes. Maybe your color product doesn’t penetrate far enough into the hair shaft. Be certain your shampoo and/or conditioner is not too acidic or basic because that could strip your color. Make sure the upkeep of your style fits within your budget. With the exception of special occasions, ask how often and how much your style, color and relaxer will cost you in the long run. If you find yourself trying more than three new hairstylists in less than a year, do some soul searching. Maybe you are not clear about what you are looking for. David’s 7 Step Series may help you find the answers you need. Hair color should do more than match your skin, it should also suit your personality. If you are introverted and shy, stay away from wild, bright colors. If you live on the wild side, however, you can probably pull off “knock ‘em dead” red. 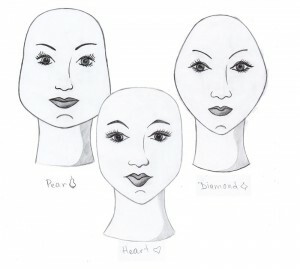 Before embarking on a new hair service, remember to discuss face shape in the consultation. For example, you could learn how highlights can help add length to a round face. Remember, just because a style looks good on your friend or your sister, doesn’t mean it is right for you.